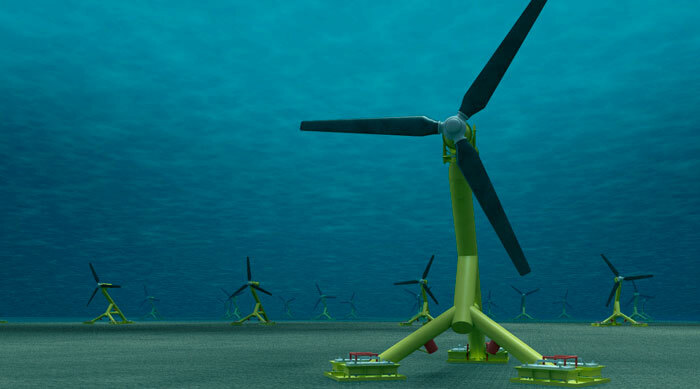 The next phase of the MeyGen tidal power project in Scotland has been awarded a €20.3 million (£17.6 million) grant by the European Commission. The funding will be used to design, build and operate a 6MW array of four turbines. The aim is to demonstrate the viability – both tecnnically and commercially – of drilled foundation systems and larger diameter turbine rotors. Construction of phase 1B – also known as Demotide or Project Stroma – is expected to begin later this year and first power is anticipated in 2018. It will be installed next to phase 1A of the MeyGen project – another 6MW array which produced its first power in November last year and was up to full speed by December. The grant was awarded through the Horizon 2020 funding programme to a consortium consisting of Atlantis Resources subsidiary Marine Current Turbines, Belgian dredging firm DEME, French engineering firm Innosea and Queen’s University Belfast. Atlantis Resources owns an 86 per cent stake in MeyGen Limited which is developing the overall project. “MeyGen is the world’s most high profile tidal stream project and we are delighted to be working with the European Commission and this world leading consortium of marine renewable energy experts to ensure that Europe remains at the forefront of tidal power knowledge creation,” said Atlantis chief executive Tim Cornelius. In 2010 the Crown Estate awarded MeyGen Limited a seabed lease for the site covering 398MW of installed capacity although there is currently only grid connection capacity for up to 252MW. Phase 1C is expected to bring the total installed capacity to around 86MW. Construction on that phase is scheduled to begin in 2019.